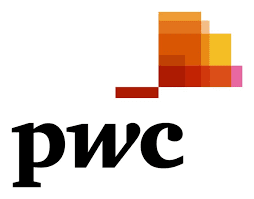 PwC India has launched a customised software solution that will help companies in India in end-to-end automation of Goods and Services Tax (GST) compliance. This software will help automate month-end tax compliances and reporting for companies with options for interfacing with multiple enterprise resource planning (ERP) environments. The software solution has been developed by PwC, a leader in Tax technology and has been used very successfully and extensively in Europe and other parts of the world. Elaborating on the solution, Pratik Jain, Partner and Leader Indirect Tax, PwC India, said: “Under GST, most companies will move towards a managed tax compliance model, wherein all the filings would be done centrally. Today’s tax tools may be inadequate in catering to the needs of tomorrow’stechnology-driven GST compliance requirements and this would be a big challenge for corporates. There was a need for a solution to help our clients navigate these issues, especially in the Indian context. We are getting very encouraging feedback from clients on our tool. We are in the process of deploying it with many large companies”, he added. Effective 1 July, GST will entail electronic filing of multiple monthly state-wise returns, transaction-level data upload, numerous reconciliations (revenue reconciliation, reconciliation with vendor details, upload on GST Network) and complex tax computation. All this and more is backed by a strong team of PwC India’s indirect tax and technology professionals who will provide implementation and ongoing support for the compliance solution.